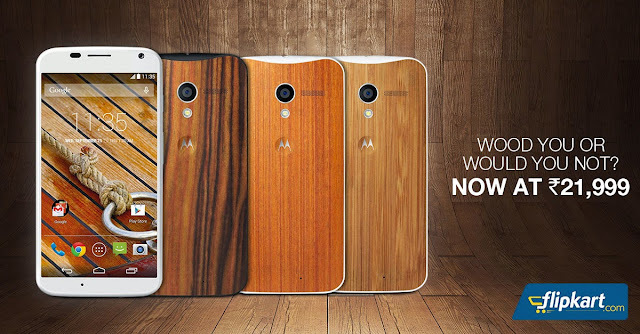 The Moto X (1st Gen) with Walnut, Teak, Bamboo back is now available at a Rs. 21,999. This offer is valid until stocks last. You can get your Moto X from Flipkart at the discounted price.